Imagine 2020 and Other School Projects Progressing: The UC community effort to enhance our schools and park facilities is moving forward. At the June 2 meeting, where a semi-annual update on Propositions S and Z was presented to the Board of Education, the Spreckels to Standley project was on the approved list for 2015-2017. This allows the staff to develop plans and work with the city in the hopes of developing the joint use project. We all win if the school district and the city can pool resources. This project includes potentially upgrading the pool at Standley Park to a full aquatic center to benefit high school teams, as well as swim instruction and community use. Another proposal is the permanent stage/pavilion for school and community performances as a community gathering space in the center of the park. 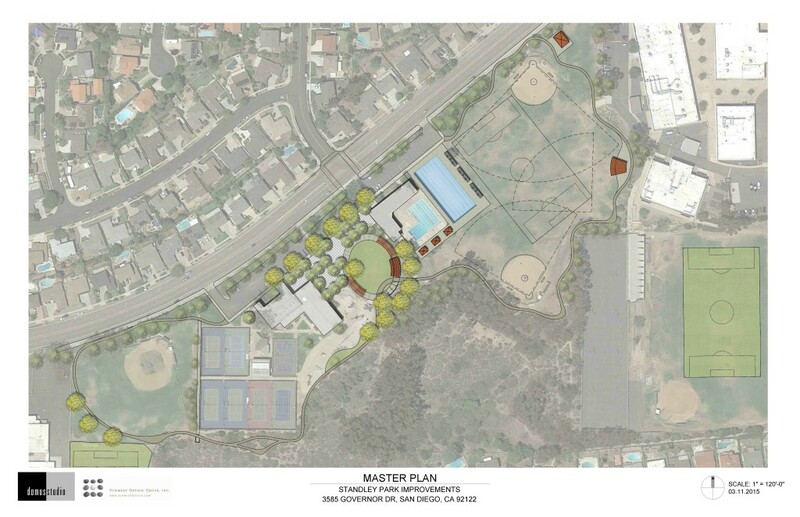 A third proposal is a jogging path that connects Standley Middle School and Spreckels (with its running club), which would also be used by the community. 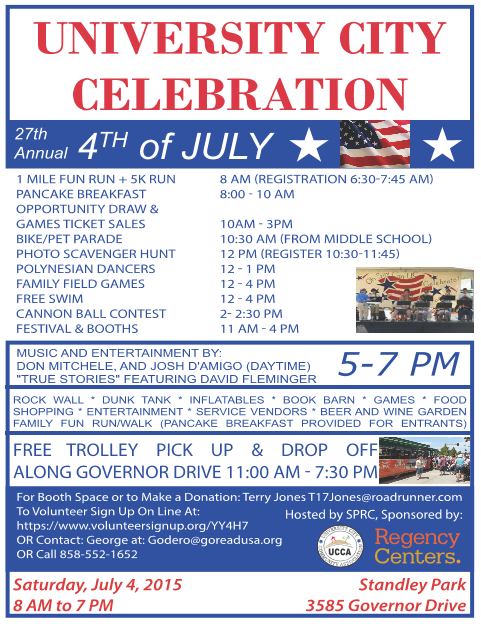 We will have information about Imagine UC 2020 at the UCCA booth at the 4th of July Celebration in Standley Park; and at ImproveUC.org http://improveuc.org/imagine-uc-2020-2/. Note: excerpt from article by John Lee Evans, Trustee, San Diego Unified School District. 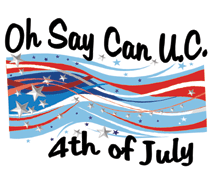 Refer to the July/August UCCA newsletter, page 5, for the complete text.